We are delighted to introduce to you our online ‘e-learning journeys. Every child will have a personal online E-Learning Journal, documenting their experiences and development during their time in EYFS. Tapestry is a secure online system which holds observations and developmental records about your child in an e-Learning Journey. 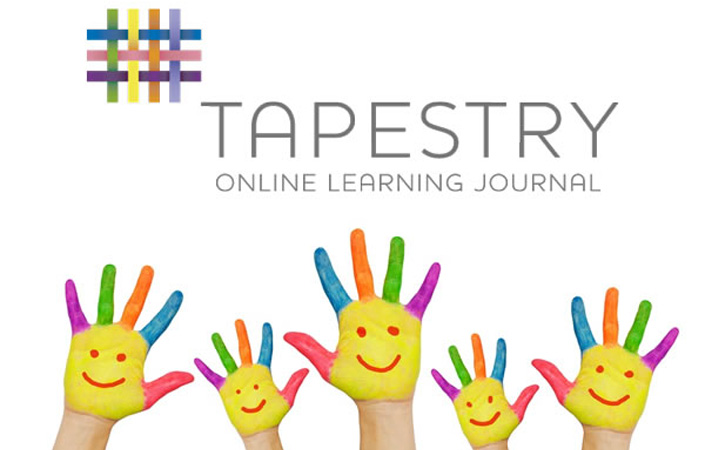 Tapestry provides parents/carers with the ability to view their child’s personal e-learning journal at any time. Parents/carers will also be able to contribute to their child’s e-learning journey. How to access the E-Learning Journal? The website is very easy to navigate. You are able to access it on a computer via the following website. Alternatively you can access Tapestry on a tablet via an iTunes app called ‘TapestryMobile’. Once you have handed your email address into school you will be issued with a password to enable you to log in to your child’s personal e-learning journey. Parents who do not have access to email/internet will be able to log in at school or receive their child’s e-learning Journey in printed form. Using your username and password you will be able log on to view photographs, videos and observations of your child. You will even receive an email telling you when a new observation is available for you to view. This will enable you to follow your child's individual progress closely and allow you to talk with your child about their achievements and experiences each day. Put in your email and create a password / PIN when prompted. Add your own observations of your child’s achievements outside of school. If you have any questions or queries about Tapestry please feel free to speak to your child’s teacher. FSF will not access or use any contact information Poppies enter (for example, in setting up your parent accounts they will enter email addresses allowing you to be notified of additions to your child's journal). Email harvesting and exploitation will not happen!